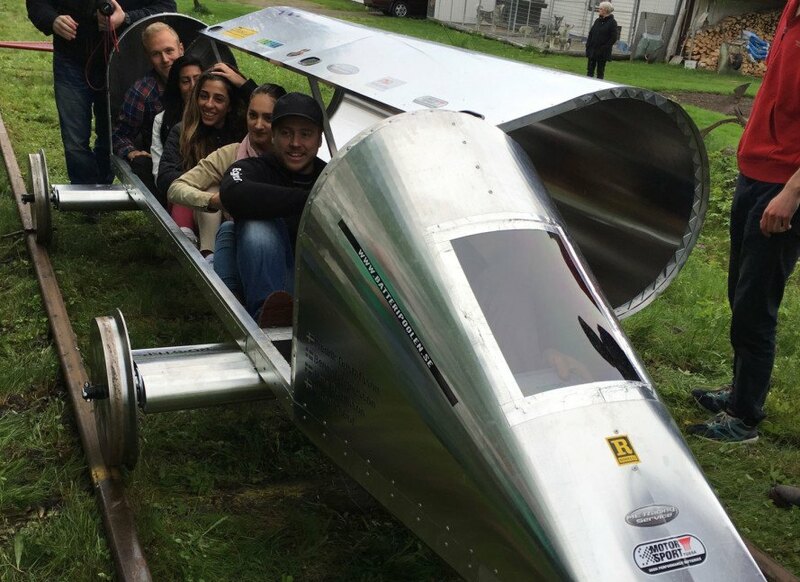 Sweden’s University of Dalarna shattered an important world record this weekend with their design of the Eximus 1, an incredibly energy-efficient rail-bound vehicle for the Delsbo Electric competition. The student team not only won first in the competition, but they also cut the energy consumption from the previous record of 1.26 Wh per person per kilometer to 0.84 Wh per person per kilometer—that’s the equivalent of using about 0.84 milliliters of fuel to move one person 10 kilometers! Sweden’s University of Dalarna shattered an important world record this weekend with their design of the Eximus 1, an incredibly energy-efficient rail-bound vehicle for the Delsbo Electric competition. The student team not only won first in the competition, but they also cut the energy consumption from the previous record of 1.26 kWh per person per kilometer to 0.84 kWh per person per kilometer—that’s the equivalent of using about 0.84 millimeters of fuel to move one person 10 kilometers!